You’re thinking about buying a truck, and that means you’re looking for two things: power and durability. 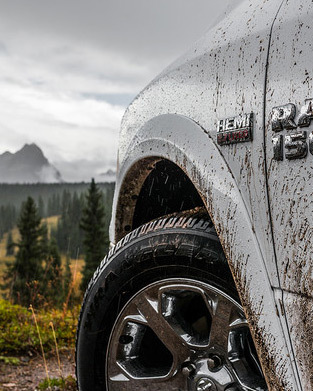 With its 5.7L HEMI® V8 engine, the strength of the RAM 1500 is well known. But did you know that 81% of RAMs sold in the last 28 years are still on the road today? That’s more than GMC, Ford, and Chevy. 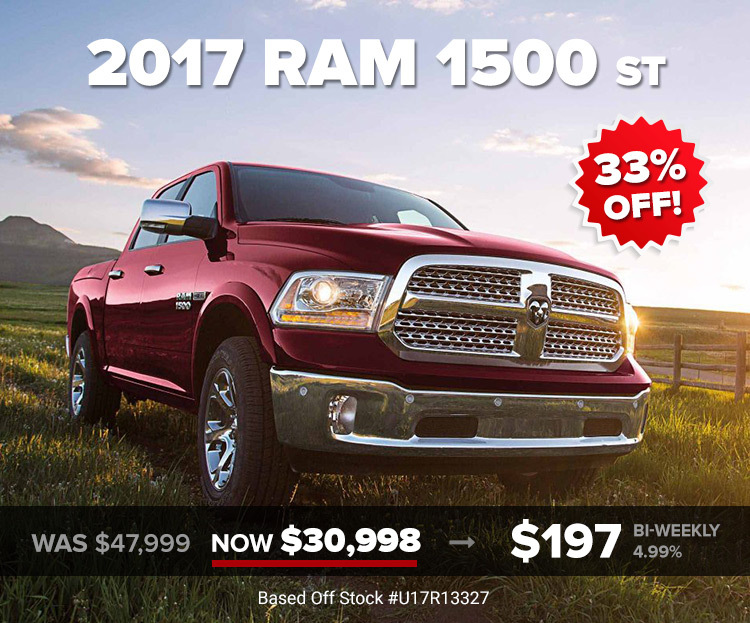 The 2017 RAM 1500 ST is sure to continue that tradition, as it delivers Auto Trader’s “best ride in a full-size pickup.” And you can get one with Go Auto today, brand new, at 33% off. The 2017 RAM 1500 ST offers a lot more than just Guts and Glory. When it comes to comfort, its suspension allows for a ride so comfortable and “faultless,” says Car and Driver, that it feels like you’re driving on a cloud. The 8.4 inch infotainment console is feature-rich and incredibly easy-to-use. It has rear assist, a backup camera, heated mirrors, rear under-seat storage bins, SiriusXM radio for a year, and more. In short, it does everything you want, for just $31,988. Vehicle may not exactly as shown. Prices include all fees and taxes, except GST. Offer available OAC. Payments calculated with 3.99% interest for 84 months. C.O.B. is $4729.08. Offer available until Feb 28, 2018. See dealer for details.